Document Management Solutions Toronto | How Does DMS Save Me Money? Businesses around the world are constantly looking for ways to streamline, economise, and ultimately, save money. One of the most interesting advances in business technology over the past decade has been the emergence of Document Management Solutions (DMS). These platforms allow for important business documents to be digitally stored, securely filed, and easily accessed from anywhere in the world via the cloud. So how exactly does DMS save your business money? There are many ways an effective DMS can help your company’s bottom dollar. Let’s take a look at some of the most important reasons you should consider installing this game changing business solution. The most obvious way Document Management Solutions can save your business money is by reducing paper usage across your company. The key selling point for a DMS is the ability to upload an important document into the cloud and then have it instantly accessible to someone on the other side of the world, seamlessly. This means that once a document has been printed once, it theoretically does not need to be printed again to be used by other members of your organisation. 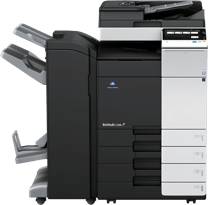 With paper costs increasing dramatically over the past few years, associated costs for businesses have skyrocketed. A shift away from paper and its damaging impacts on the environment is also prevalent amongst consumers, and going paperless is a positive branding exercise for any business. Document Management Solutions can help your company rely less on paper, saving you money and winning you favour with your customers. Document Management Solutions can also offer fine grained revision control over important documents, saving you printing costs on draft versions. A big source of wasted paper in many multinational businesses is the need to revise a document many times before it receives final approval. Each revision often gets printed at least once, which then gets thrown in the bin once it has been edited. This wastes not only your company’s money, but the Earth’s resources in the form of cut down trees. An effective DMS will allow your employees to have integrated revision control over their important documents, allowing them to track changes, make suggestions and notes, and create a finalised document before they have even printed a single sheet. 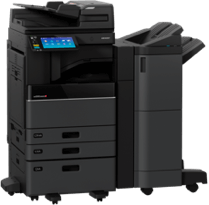 This cuts down on wasted paper and enhances efficiency within your organisation, all saving you those all important dollars. A more practical cost saving afforded by Document Management Solutions is the savings on physical space and associated paper filing furniture. In the past, many offices had entire rooms (if not entire floors) dedicated to filing and storing thousands upon thousands of documents. Many of these documents would never be looked at again, and simply took up space that the company had to pay for. These days, DMS can turn that wasted office space into something that adds value to your business by digitising and storing all of your documents quickly and easily. When every document is indexed and searchable, you’ll never be left sifting through piles of old invoices at tax time, or struggle to find that important contract for a client. This means you can save money on your rent, improve efficiency with your employees, and expand your business. Document Management Solutions also save you money on personnel by removing the need for extra hands to find documents. As we mentioned earlier, many businesses used to have entire rooms or floors devoted to storing documents that would need to be retrieved at some point for tax returns, inventory audits, or client meetings. This would require dedicated employees who would have to spend hours every day searching for the right document that would like only be used for a few minutes. Even today, many administration employees waste their time having to find old documents that decreases their efficiency and wastes company money. A DMS can make every document within your organisation instantly searchable by any employee with access. This means many managers can find the document themselves faster than even asking their assistants to find it for them, improving workflow efficiency and decreasing time wasted throughout the day. All of this combines into a leaner, more effective workforce that will decrease your expenditures. As mentioned above, Document Management Solutions have the potential to revolutionise your workflow and boost your efficiency to an all time high. Without the need to search for documents, or wait for someone else to send you a document they only have stored on their computers, you are able to access any document you require right from your own computer, anywhere in the world. If you are travelling internationally and there is a significant time difference, you could be waiting days for a reply from head office, causing you to not be fully prepared for a client or lose an important contract. By utilising a dedicated Document Management System, this worst case scenario is avoided and you are able to impress with the click of a button. Busys.ca is Ontario’s leading provider of document management systems for small, medium, and enterprise sized businesses. Our DMS experts are always on hand to answer any questions you might have about the technology and connect you with the perfect platform for your brand. If you are ready to take your efficiency to the next level, contact Busys.ca today.